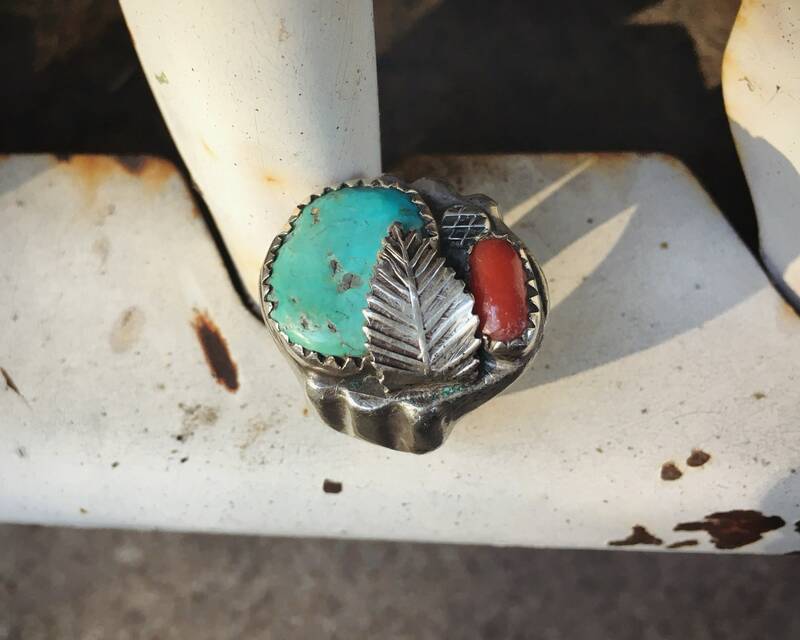 Here we have an Old Pawn ring for men featuring two cabochons--one of an absolutely beautiful piece of natural turquoise with those varying shades that one sees in an older piece, and the other cabochon is of Mediterranean coral. The ring band is all sandcast, which means it has no hallmark. 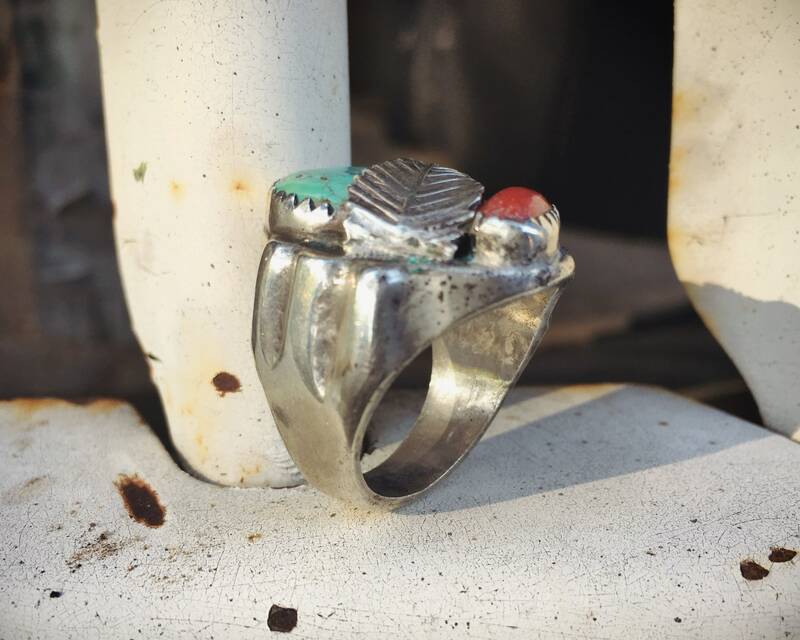 Yet it has a distinctly Navajo form, with the use of all hand made leaves and otehr elements, including sawtooth bezels. This is a super traditional, super masculine design, likely 1960s to 1970s. The silver has some wears and dings from use and age. 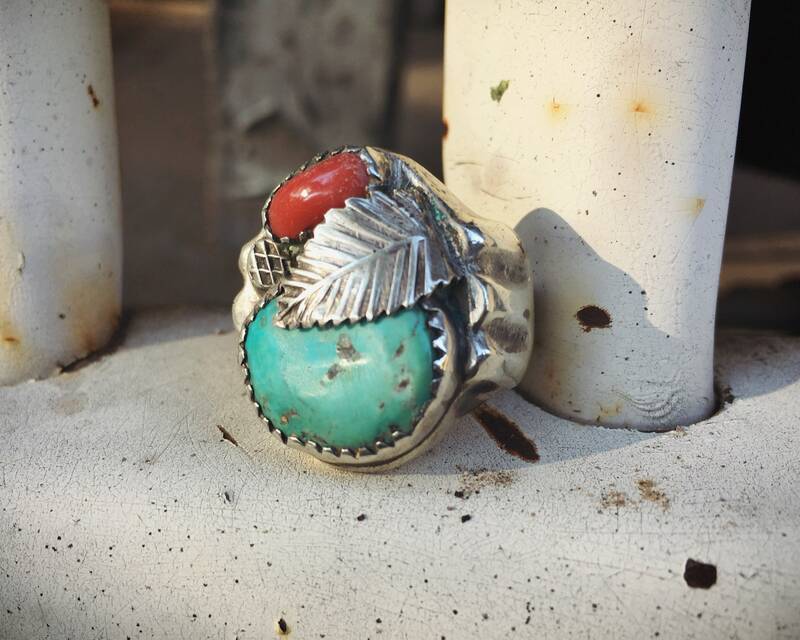 Truly a men's ring, for that kind of Western rugged cowboy in your life--whether dad, granddad, uncle, husband, boyfriend.. The ring is Size 11. 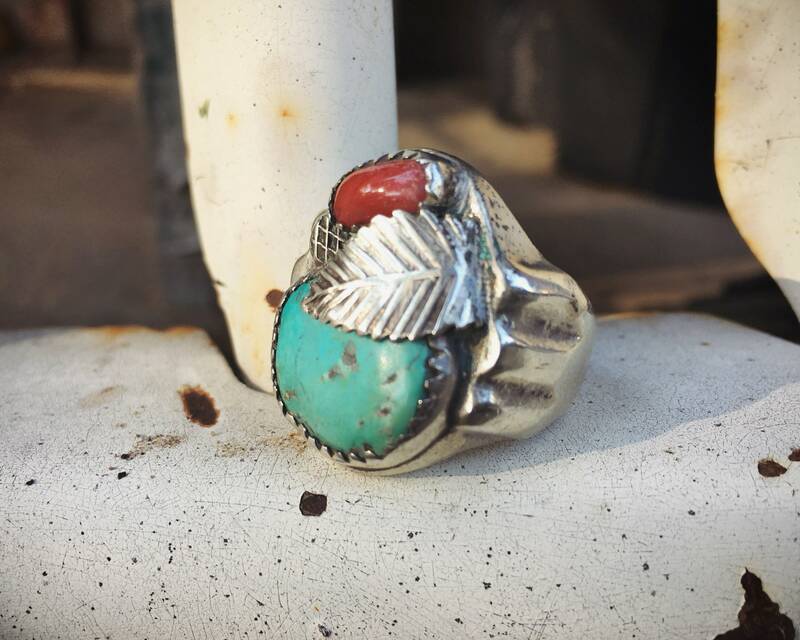 Turquoise cabochon, of which you can see the hand shaping, is 3/4" wide by 5/8" tall. 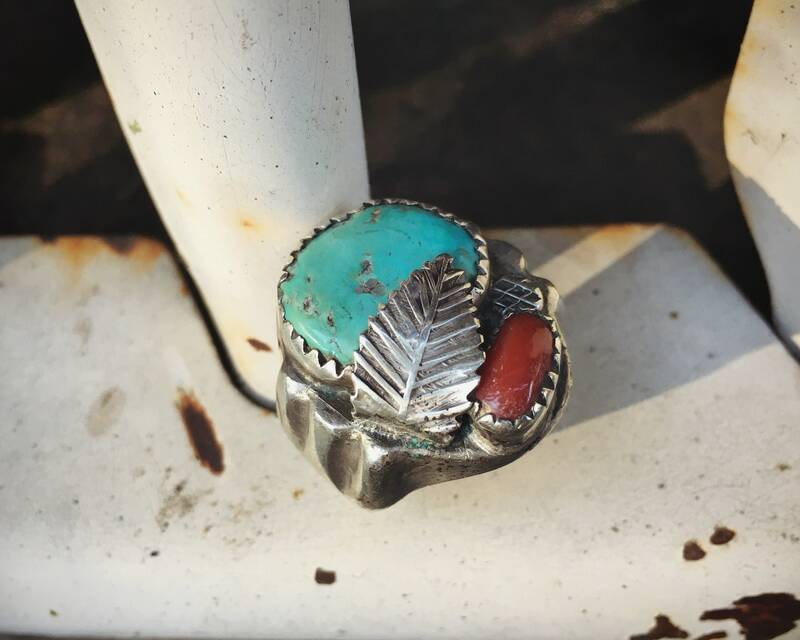 Coral piece is much smaller. The sawtooth bezels have some wear, yet the cabochons are well seated. 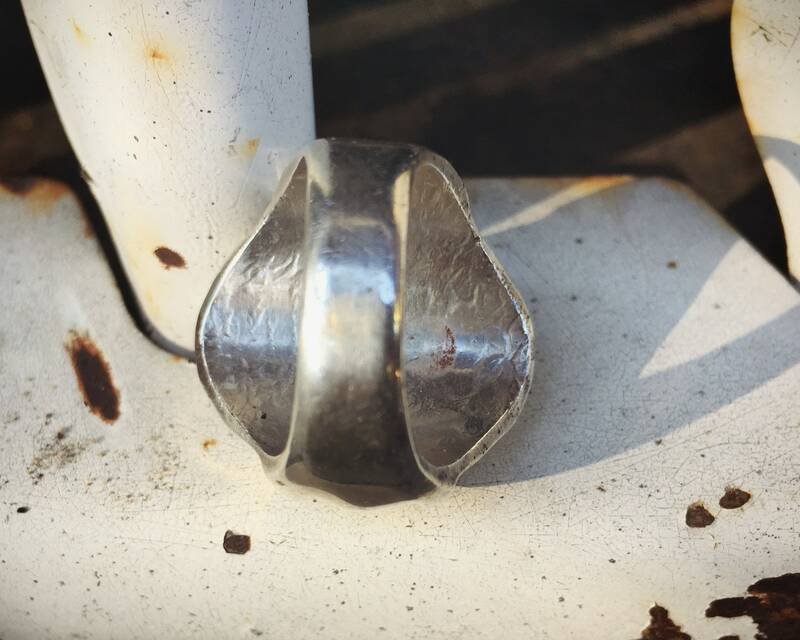 Some scratching on the cast sterling silver. 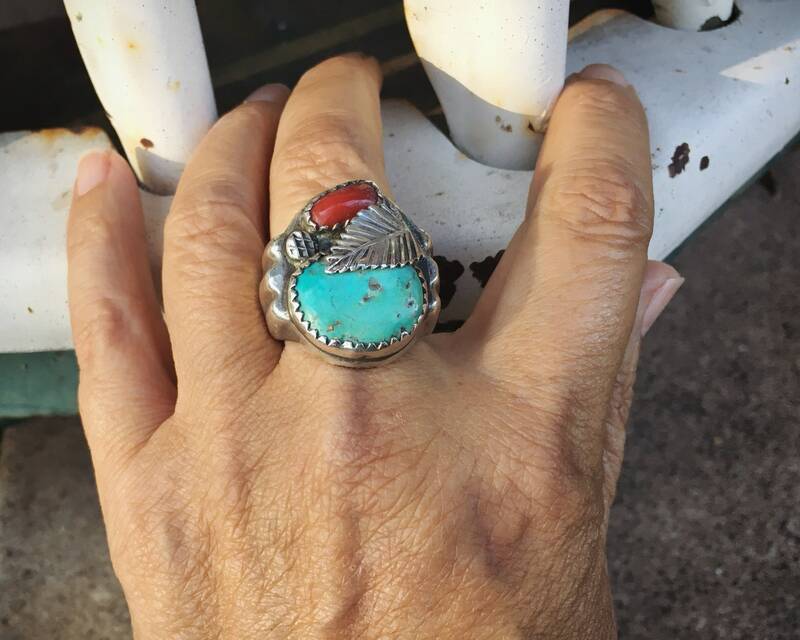 The turquoise is in great vintage condition, no cracks.